Former Villanova runner Richie Corcoran ran 3:49.78 (equivalent to a 4:07+ mile) at the Cork City Sports meet this weekend. 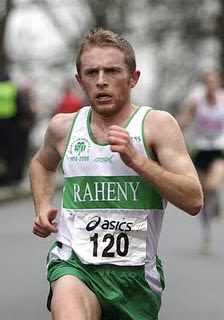 Corcoran was the 2001 Irish Schools 1500 meter champion, the 2003 Irish National Junior Champion at 1500 meters, and the 2004 Irish U-23 1500 meter runner-up. He graduated from Villanova in 2008. Earlier this year, Corcoran set a new 5000 meter PR at the Swarthmore Twilight meet, running 14:12.28.